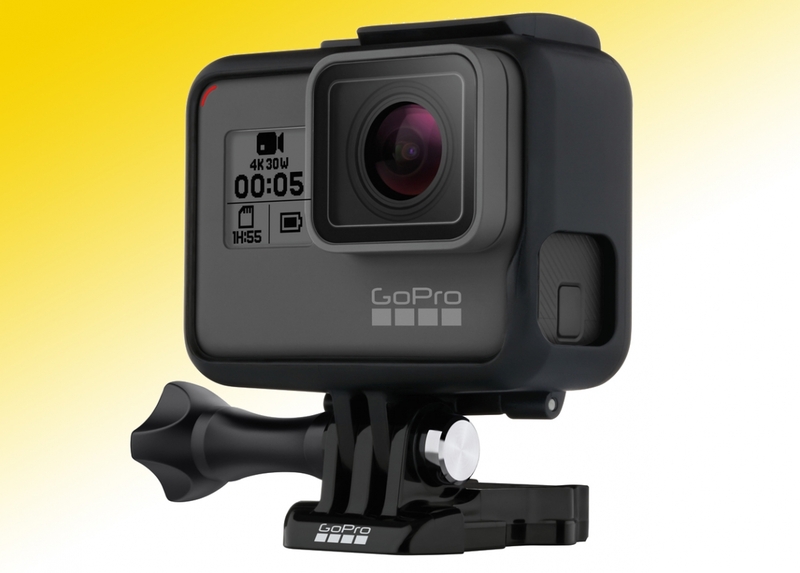 GoPro has long been the camera of choice for extreme types who like to pass the time doing backflips on a motocross bike rather than visiting Ikea, but a new batch of rivals has forced the US brand to up the ante. The result is a new Hero5 range that sees the ultra-powerful Hero5 Black (£349.99) joined by the smaller but improved Hero5 Session (£249.99). New features on both include voice control, which sees the user bark things like “GoPro, take photo”, or “Go Pro Shoot video” at the camera in order to rapidly capture the moment. It works well and simplifies the user experience, which seems to be a theme that runs throughout the new line-up. For example, despite the Hero5 Black being able to shoot in broadcast quality 4k @ 30fps or 1080p @ 120 fps (great for super slow-mo), all of the controls and settings are easily accessed via a touch screen on the rear. Admittedly, the screen can be a little fiddly to use, especially with wet or muddy fingers, but it makes navigating the unit easier, while more advanced ‘ProTune’ settings can be accessed if you’ve got the photographic know-how. Better still, photos can now be captured in RAW format for professional postproduction tinkering and a new WDR mode takes multiple shots and blends the best exposures together to ensure snaps really pop. It means it is now easier than ever to mount to the exterior of a car or the bars of a bike and capture amazing images, which can be taken into post and made to look truly professional. Finally, GoPro’s trump card is the Karma Drone (£719.99), a pro-quality aerial filming solution that’s so easy to fly, even complete newbies don’t have to worry too much about crashing. The package neatly folds down small enough to fit into a backpack and it’s operated via a rugged wireless, thumb-stick controller. An ultra-crisp touchscreen display allows the pilot to see what’s being filmed, as well as automatically launch and choose from a bunch of pre-set flight paths, while an included electronic gimbal, which hosts a GoPro camera, provides buttery smooth video clips. This gimbal can be removed from the drone when not in flight and used to capture steady-cam shots on the ground. Finally, GoPro also offers a Passenger App, which allows smartphone owners to link to the Karma Drone controller to take control of the GoPro rig. The pilot still has full control over the drone’s whereabouts but it means friends and family can play director for the day and decide what footage is captured. It’s a truly stunning piece of kit and a package that’s sure to make amateur edits look like Oscar-worthy productions.